Fagus is a unique, educational resource which provides a system for schools to identify, monitor and support children’s emotional and social development. Fagus was principally developed for pupils at Beech Lodge School, many of the children there have attachment and developmental trauma-related difficulties and have been adopted from care, but Fagus has a wider application and can be used with many school-aged children. Give an in-depth understanding of a child’s social and emotional development, focus interventions, set goals and track progress. Are a summarised version of the Guides and completed to create a Developmental Profile. Approximates a child’s development across each social and emotional domain, identifies their strengths and areas requiring intervention and tracks progress over time. 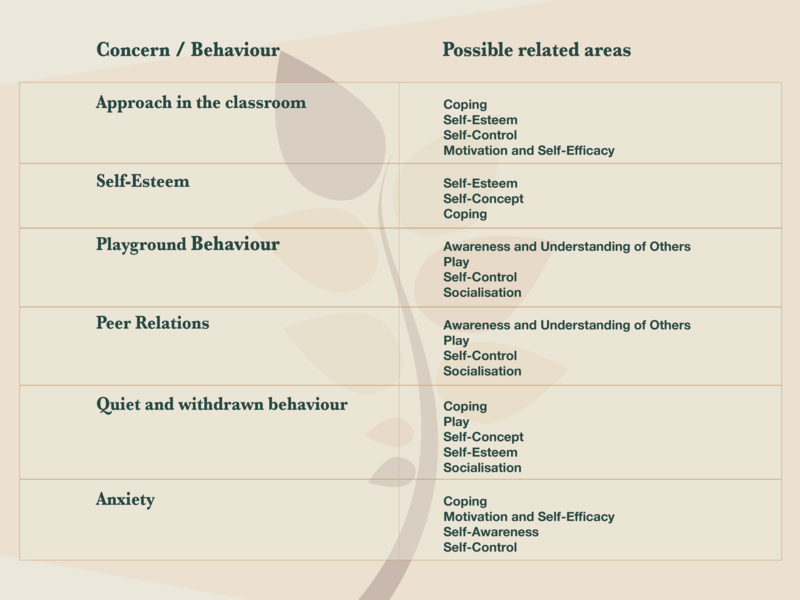 Some examples of how Fagus relates social and emotional functioning to behavioural concerns at school, which may impact learning.